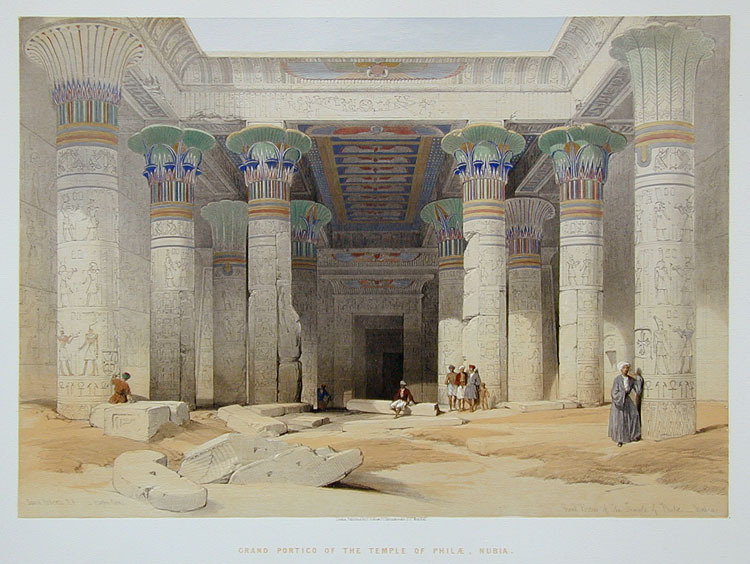 Comments: One of the top images of all Roberts lithographs, showing the beautiful coloring of the Philae temple, still visible in Roberts' day, but now almost entirely lost. Condition: Excellent - archivally cleaned. Image: 13 5/8" x 19 3/8"